KiwiFlora, while a recently established entity (2009), combines over 30 years experience of Damsted Flowers and Lyndale Intellectual Properties - both longstanding and professional entities in plant product development and breeder representation. We have a small cost effective and dedicated team specifically aimed at bringing new plant creations to the world. 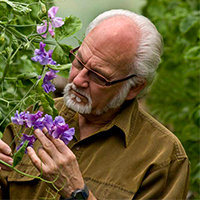 Dr. Keith Hammett is New Zealand's leading professional breeder of ornamental plants. He originally studied botany at the University of Southampton in the United Kingdom and followed with a PhD in plant pathology. An established scientific background and long research history Keith sees the creation of ornamental plants as an art form comparable to other areas of aesthetic activity. Dr. Hammett's Dahlias have won top awards at the Royal Horticultural Society's trials and were featured in the Chelsea Flower show. His Dahlias are renowned for their bright vibrant flowers with dark central discs, and very dark bronze to black foliage and represent a change in breeding direction for Dahlias resulting from breeding with species of Dahlia not previously used. Dr. Hammett was recently awarded the Reginald Cory Cup by the RHS for his pioneering work with Dahlias, the first time in three quarters of a century that this award had come to New Zealand. Keith is now exclusively engaged with developing KiwiFlora's own line of new genetics. With his significant presence in Australasian plant propagation industry, Malcolm is widely known to the ornamental horticultural community. 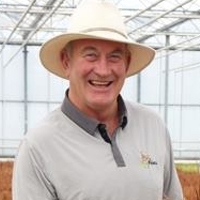 Accordingly, one of his prime areas of focus is to enlarge and maintain connections with core breeders and identify new plant variety opportunities for the Kiwiflora portfolio. From his initial Science Degree to his subsequent life long involvement in plant propagation, Malcolm has the perfect skill set to understand and meet the challenges of breeding and producing new plants. He has a close association with the Australian plant propagation industry and has been a member of the International Plant Propagations Society for 30 years. 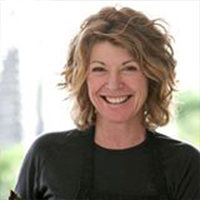 Trina, an award winning garden designer, has a keen interest in perennials and all plants included in timeless gardens. Her input adds a professional design perspective to our team. If you are in need of photos for marketing purposes please contact Trina.